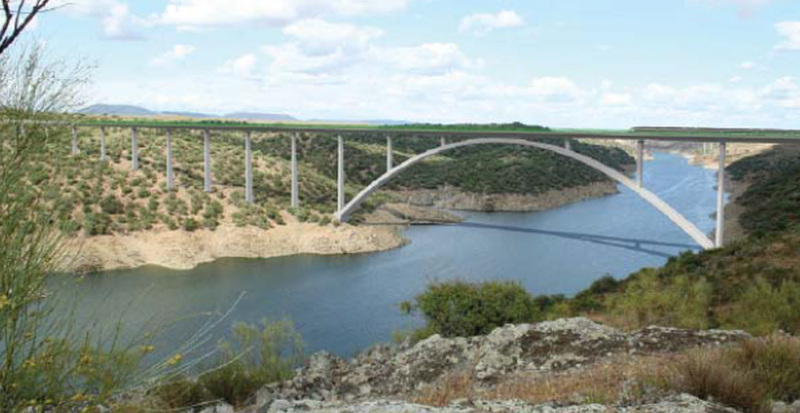 The high-speed railway line Madrid-Extremadura, section Cañaveral-Alcántara Reservoir, crosses the Tajo River through a 1488 meters viaduct. In this zone, the Tajo River is enlarged because of the Alcántara Reservoir. 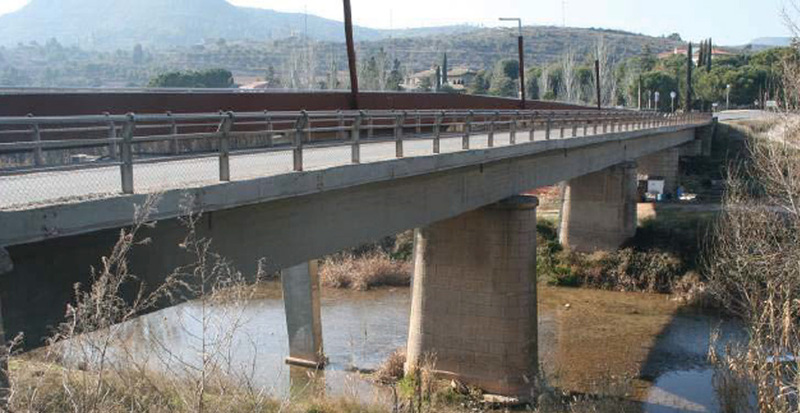 To span the riverbed, a long concrete bridge has been designed, with its foundations out of the reservoir. 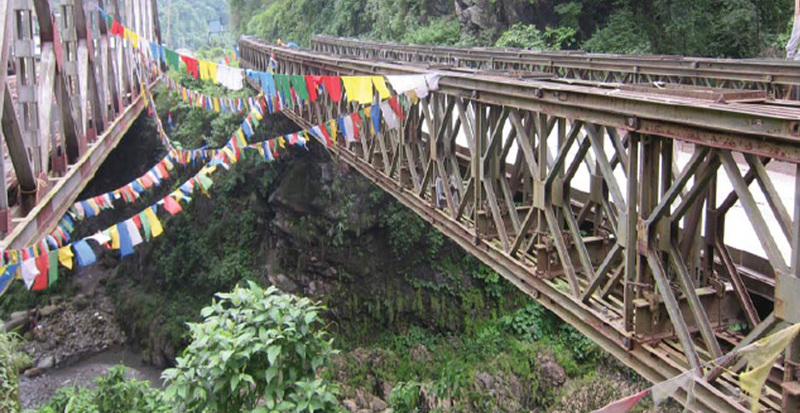 Its span is 324 m and its high is 70 m above the arch bearings. The span length distribution is influenced by the river. The bridge deck over the arch is composed by 6 spans 54 m long supported by the arch. Access spans are 60 m long, with two transition spans 57 m long. 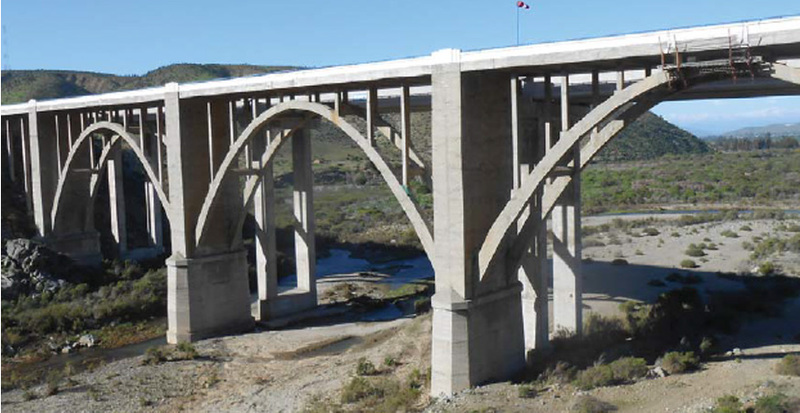 The arch cross section is rectangular variable in depth from 4 to 3.5 m and in width from 12 to 6 m.
The deck cross section is a prestressed concrete box with 4 m depth and a total widthof 14 m. Pile height is variable reaching 72 m in the closest zone to the river. The arch is being built by incremental launching. The movable formwork allows increments 4 m long. The arch is supported by cables tied to provisional piles until the keystone closes the arch. After closing the arch, piles over it will be built with the same construction pro wcess that the one used to build the access spans, by means of a movable formwork. The central span is to be built using a formwork directly supported by the arch. 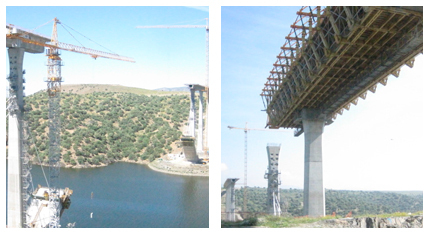 INES Consultant Engineers has been responsible for the technical assistance in the field of structures playing a key part in the management during the construction works of this spectacular viaduct.